How would you describe your skin before using Batty's Bath? I have dealt with rosacea for as long as I can remember. My skin has acne-like bumps, is dry in some places, oily in others, and overall, unbalanced. The red flushing over my cheeks and nose and sensitivity that come along with the rosacea comes and goes in varying degrees, and with no apparent cause. Why did you decide to start using the products? It has been very difficult for me to find something that works for my rosacea, and I have spent a lot of money trying. I've been prescribed creams before, but did not like to idea of using steroids or antibiotics on my face, so I wanted something that was more natural. 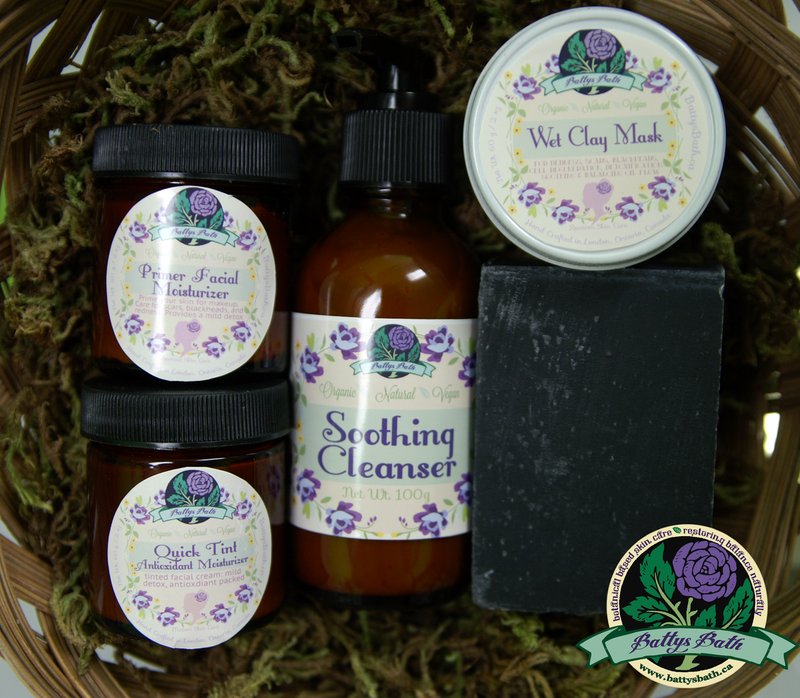 I was hooked when I heard Batty's products were all natural, and local. I instantly loved her website and how she provides resources for varying degrees of problem skin, from rosacea to eczema, and explains every single product in great detail, including recommended routines and ingredients. It was very clear that she has a passion for making quality products and helping people achieve healthy skin. What products are you currently using? I am currently using the rosacea skin care kit which contains the primer facial moisturizer, quick tint antioxidant moisturizer, soothing cleanser, wet clay mask and charcoal cold press soap. I also occasionally use the grapefruit & patchouli olive oil facial soap for acne prone skin, and the mineral cream concealer (in warm sand) and mineral makeup foundation are part of my daily makeup routine. What is your current skin care routine? One great thing about Batty's kits is that they come with a recommended routine. As per the rosacea kit routine, I wash my face with the soothing cleanser when I wake up in the morning and then apply the primer facial moisturizer to my face and neck. In the evening before bed, I wash my face with the charcoal cold press soap, sometimes after the grapefruit & patchouli olive oil facial soap if I feel my skin is particularly oily, and then apply the quick tint antioxidant moisturizer. I use the wet clay mask once a week, leaving it on for at least half an hour. In order to detox and calm my skin, I am trying to avoid store-bought makeup filled with chemicals. Instead I use Batty's all-natural mineral makeup daily and absolutely love it! I used to apply a primer before my foundation and concealer, but have found that I do not need one with Batty's makeup. I understand that using all-natural skin care products are just the first step to a healthier me. I am also trying to sleep more, drink more water, eat better, get more exercise and reduce the overall stress in my life. 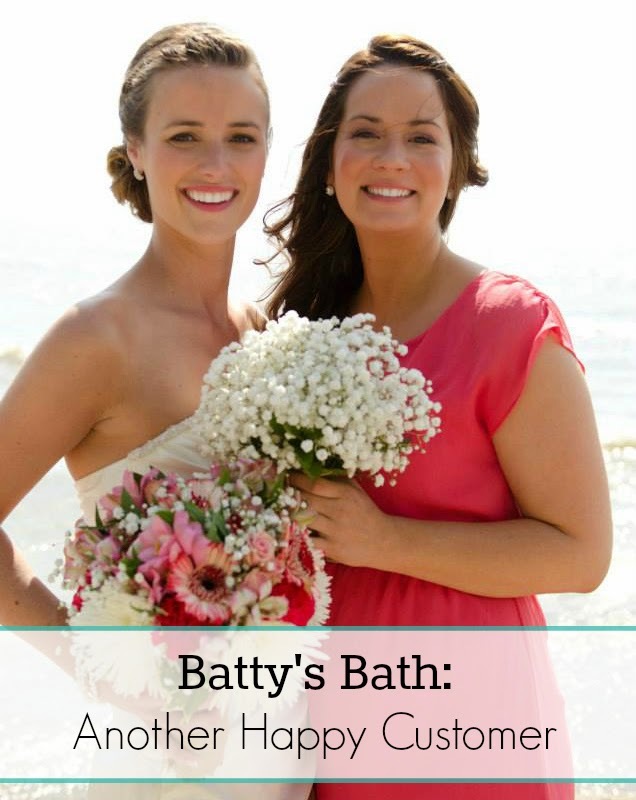 How would you describe your skin after using Batty's Bath? After 2 months of use, my skin is much more clear and balanced, and the rosacea-related redness has definitely subsided. I have even received compliments from friends, family and coworkers! Will you use Batty's Bath products in the future? Absolutely! Discovered your blog via the LovetheHereandNow feature. So excited to find other Canadians, especially Ontarians!